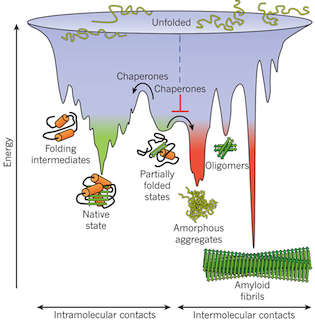 Researchers at Emory University School of Medicine led by Shihua Li, MD, and Xiao-Jiang Li, MD, PhDÂ have demonstrated that as animals age, their brains are more vulnerable to misfolded proteins, partly because of a decline in chaperone activity. The researchers were studying a model of spinocerebellar ataxia, but the findings have implications for understanding other diseases, such as Alzheimer’s, Parkinson’s and Ray Ban outlet Huntington’s. They also identified targets for potential therapies: bolstering levels of either a particular chaperone or a growth factor in brain cells can protect against the toxic effects of misfolded proteins. The results were published recently in the journalÂ Neuron. The Emory scientists devised a system in which production of a misfolding-prone protein that causes a form of spinocerebellar ataxia can be triggered artificially in mice at various ages. Both Li’s are professors of human genetics at Emory University School of Medicine. The first author of the paper is BCDB graduate student Su Yang. Spinocerebellar ataxia is an inherited neurodegenerative disease in which patients develop gait problems and a loss of coordination in mid-life, because of atrophy of the Ray Ban Italia cerebellum. There are several types, each caused by a mutation in a different gene. Instead, the scientists observed that older animals Ray Ban online develop disease more quickly after mutant protein production is triggered. The mutant protein accumulates more quickly in 9- and 14-month old mice than in 3-month old mice, suggesting that aged neurons are more vulnerable to the effects of the misfolded protein. Xiao-Jiang Li says that potentially, small molecules that increase Hsc70 or MANF levels could be used for treating spinocerebellar ataxia, and that this may be a more practical approach for therapeutic development than the gene therapy-like approach his lab used in the paper.